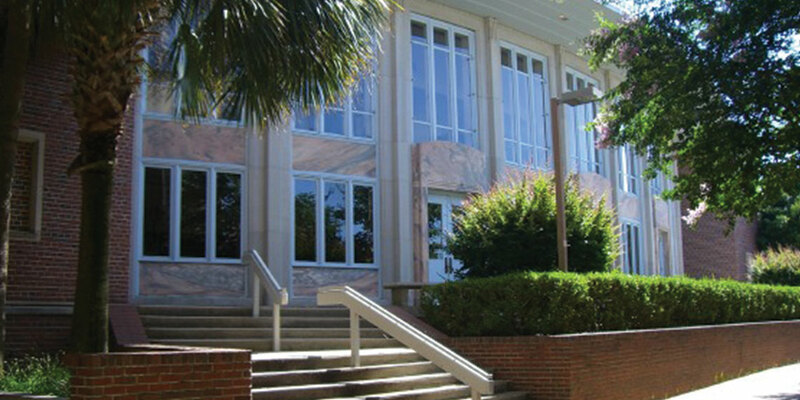 Opperman Music Hall is a 437-seat concert hall located in Florida State University’s Kuersteiner building. It is named for Ella Scoble Opperman who served as the first dean of music from 1911 to 1944. The hall can accommodate concerts ranging from solo recitals to chamber orchestra, band concerts and opera. General parking is available in the Call Street Garage, located on the corner of Call and Macomb Streets. 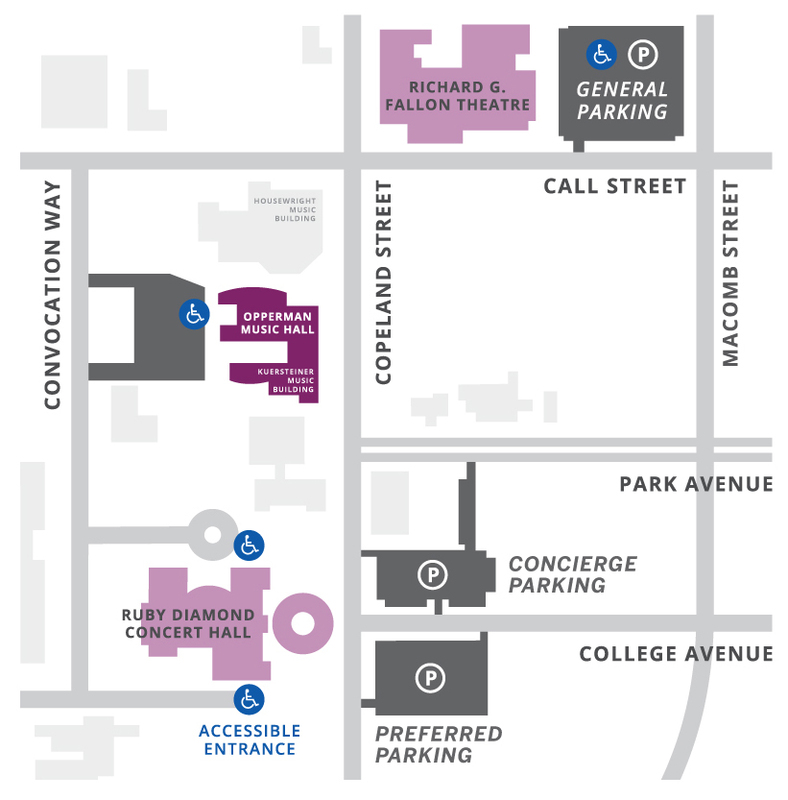 Accessible parking is available behind Opperman Music Hall and may be accessed from Convocation Way. The three lots across the street from Ruby Diamond Concert Hall are reserved for Opening Nights Sponsors and Members. Below is a map of where Opening Nights Sponsors and Members may park for Concierge and Preferred levels, as well as for accessible and general parking.